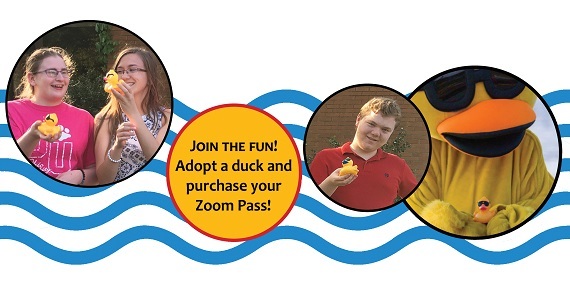 The Zoom Duck Derby is presented for the benefit of The Alpha Group, one of the largest non-profit providers of service to individuals with developmental disabilities in Delaware County which now extends services to people in eight surrounding counties. Duck adoptions will provide funds to support programs and services. The Alpha Group's services are needed, as they experienced a 40% growth in 2017 of members served. Exciting times to be a CHAMPION. Learn more about The Alpha Group at alphagroup.net. Learn more about Zoom Duck Derby at www.zoomduckderby.com. ADOPT A DUCK! Gather a flock of your friends, family and co-workers and Be a Champion for People with ABILITIES. “Adopt a Duck” for $5, a Quack Pack (6) for $25, a Quacker’s Dozen (12) for $50 or an entire Flock (24) for $100. You do not have to be present to win! Purchase your Zoom Pass for $25. The first 400 guests will receive: 1 Duck Derby Entry, Admission to both Columbus Zoo and Zoombezi Bay, Admission to the Wellness Walk, Goodie bag with giveaways, FREE parking and Duck Donuts. Columbus Zoo Members and Zoombezi Bay Season Pass Holders are welcome to attend. No Zoom Pass required. 8 a.m.: 1-Mile Wellness Walk which will loop through the grounds of the Columbus Zoo & Aquarium ending at Zoombezi Bay. Purchase your Zoom Pass today! 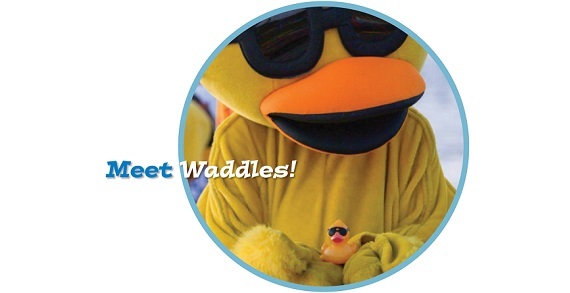 9 a.m.: DUCK DERBY – The ducks will be launched on the Lazy River at Zoombezi Bay Waterpark. The first Ducks to ZOOM across the finish line win fabulous prizes. YOU DO NOT NEED TO BE PRESENT TO WIN, but why miss the FUN! Create a TEAM, ADOPT A DUCK and WIN up to $5,000 in Cash Prizes! You do not have to be present to win, so adopt your ducks today! Top Team Fundraisers will receive prizes!